Citizens on the island of Newfoundland won the right to vote and run for political office in 1832, when Britain conceded to a local reform movement and granted the colony representative government. A general election took place in November of that year, allowing eligible residents to cast their ballots for the first time in the colony's history. The right to vote gave citizens greater say in the setting of public policy and more political power that ever before. Prior to 1832, all Newfoundland government officials had been appointed by the British crown and therefore were not formally answerable to the local public. St. John's was one of nine electoral districts on the island of Newfoundland during the period of Representative Government. J. W. Watts, artist. From D.W. Prowse, A History of Newfoundland from the English, Colonial, and Foreign Records, 2nd edition (London: Eyre and Spottiswoode, 1896) 458. Print. Britain granted Newfoundland universal manhood suffrage, which was the most inclusive franchise in its colonial empire. Members of the public were eligible to vote if they were male British subjects, at least 21 years old, and had lived in the colony as tenants or property owners for at least one full year before the election took place. Citizens could run for political office if they met the same requirements and had lived in the colony for a two-year period immediately preceding the election. Britain narrowed eligibility requirements in 1842. It increased the residency period for voters from one year to two and stipulated that all candidates must earn a minimum annual salary of £100 or own property worth at least £500. Women were forbidden to vote or hold a seat in the legislature, rights they did not win in Newfoundland and Labrador until 1925. Voters from nine island districts elected officials into the 15-seat House of Assembly. They participated in five general elections during the period of representative government, in 1832, 1837, 1842, 1848, and 1852; an 1836 general election was invalidated after officials discovered the writs did not bear the colony's Great Seal. Six by-elections also took place as individual MHAs vacated their seats for various reasons. Unlike elections today, voters did not cast their ballots in secret and instead had to stand and be counted at the various polling stations. Lack of privacy left voters vulnerable to intimidation or bribery from individuals wishing to manipulate election results, and bullying did occur at some polling stations. 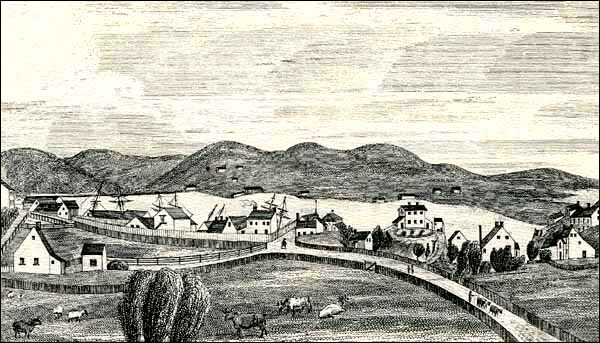 During the 1836 invalidated election at Harbour Grace, for example, a group of assailants beat some residents shortly after they voted for Conservative candidate Thomas Ridley. Ridley and fellow Conservative candidate Robert Prowse subsequently withdrew from the race. Voters elected representatives from nine districts around the island of Newfoundland – Conception Bay, St. John's, Placentia-St. Mary's, Bonavista Bay, Trinity Bay, Ferryland, Twillingate-Fogo, Burin, and Fortune Bay. Each district sent one elected representative to the House of Assembly, with the exception of Conception Bay (four members), St. John's (three members), and Placentia-St. Mary's (two members). No districts existed along the French Shore, where permanent settlement was not officially allowed, or in the sparsely populated interior regions. The electoral district of Trinity Bay stretched from Bay de Verde Head to Cape Bonavista. From Charles de Volpi, Newfoundland: a Pictorial Record (Sherbrooke, Quebec: Longman Canada Limited, 1972), 27. Print. The nine districts encompassed areas on the island's east, south, and northeast coasts where the vast majority of the island's roughly 60,000 residents lived. The district of St. John's stretched from Petty Harbour to Broad Cove; Conception Bay extended from Broad Cove to Bay de Verde Head; Trinity Bay from Bay de Verde Head to Cape Bonavista; Bonavista Bay from Cape Bonavista to Cape Freels; Twillingate-Fogo from Fogo Island to Cape St. John; Ferryland from Petty Harbour to Cape Race; Placentia-St. Mary's from Cape Race to Rushoon; Burin from Rushoon to Garnish; and Fortune Bay from Garnish to the middle of the island's south coast at McCallum. 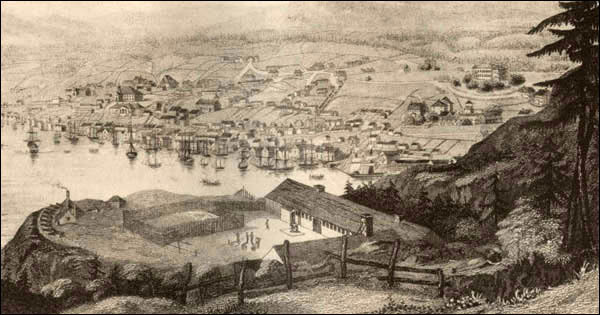 Officials created the various districts to ensure equal representation of outport residents in the House of Assembly and to maintain a balance between Protestant and Roman Catholic voters. Trinity Bay, Fortune Bay, Twillingate-Fogo, and Bonavista Bay were largely Protestant districts that returned a combined total of four MHAs, while the predominately Roman Catholic districts of St. John's, Placentia-St. Mary's, and Ferryland elected a total of six representatives. Conception Bay was represented by four MHAs and had a population equally divided between Protestants and Roman Catholics, while Burin had slightly more Protestants than it did Roman Catholics. If the island's electorate voted along denominational lines, the House of Assembly would consist of eight Roman Catholic officials and seven Protestants. Although polling stations were often located in the most populous areas of each district, they were not as plentiful as they are today and residents sometimes had to travel relatively long distances to vote. During the 1832 election, for example, six polling stations existed in the district of Conception Bay, which had a population of approximately 18,000. Residents living in settlements that did not have a polling station had to travel to the nearest community where one existed if they wished to vote. The district of Conception Bay had only six polling stations to service a population of approximately 18,000 during the 1832 election. Illustration by Percival Skelton. From Joseph Hatton and M. Harvey, Newfoundland, the Oldest British Colony (London: Chapman and Hall, 1883) 166. Print. The voting process often took days to complete and did not always occur at the same time in the various districts. 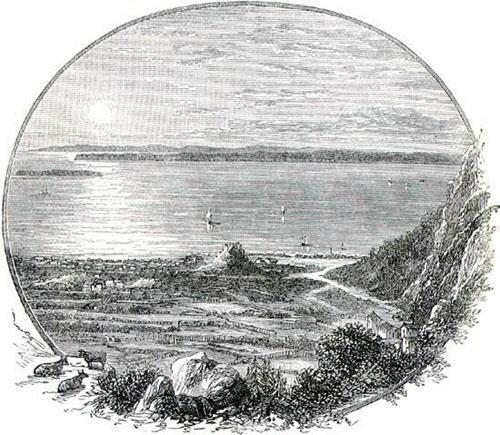 In 1832, for example, polling at Conception Bay lasted four days, from 31 October until 3 November, while voting in St. John's began on 5 November and did not end until 12 November (polling stations did not open on Sunday, 11 November). This changed in 1842, when Britain passed a bill stipulating all future Newfoundland elections must occur simultaneously instead of at different times. Further changes occurred in 1854, when Britain agreed to grant Newfoundland responsible government. It passed a bill doubling the number of seats in the House of Assembly to 30 and increasing the number of districts to 15. St. John's was divided into two districts – St. John's East and St. John's West – and Conception Bay into five – Harbour Grace, Carbonear, Bay de Verde, Harbour Main, and Port de Grave. The new district of Burgeo-La Poile was also created and stretched from Hermitage Bay to the community of Channel along the island's southwest coast. For other related articles view the Representative Government 1832-1855 section of the Government and Politics Table of Contents.